WASHINGTON -- As newly elected congresswomen are poised to color this city blue, one wonders what effect they’ll realistically have on the gridlock known as the House of Representatives. At final count, 101 women, mostly Democrats, are headed this way come January. Will they -- or can they -- work with Republicans? 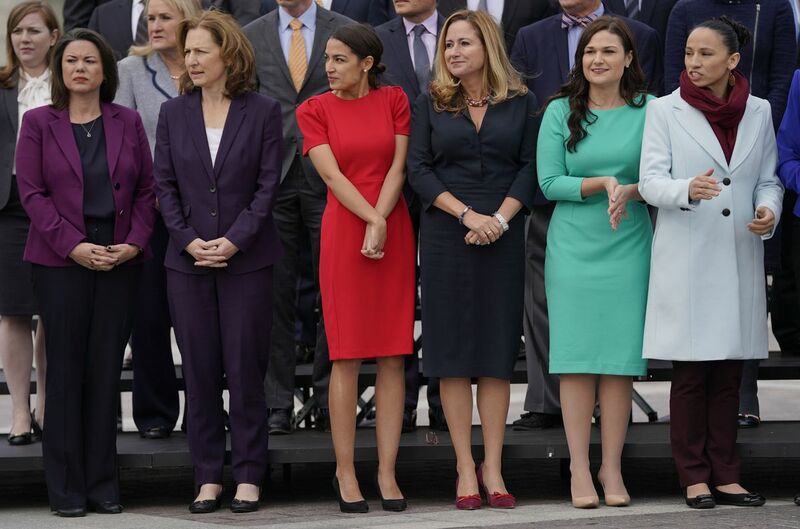 To begin to answer these questions, four women -- two from each party -- put their heads together and created a one-day, bipartisan confab here -- the "Elevate" summit -- to discuss issues on which women can find common ground. The organizers recognized that social issues remain divisive, but a myriad of other concerns provide opportunities to work together, including caregiving, health care and workplace issues. On the eve of the summit, a reception offered a peek at a selection of female leaders eager to share a glass of wine and exchange business cards. Afterward, a much smaller group -- including summit panelists, moderators, legislators and business leaders -- sat down to a dinner of loaves and fishes to test the waters for bipartisan opportunities. Rep. Cheri Bustos, D-Illinois, broke down the woman-to-woman dynamic with a sports analogy. This is Washington, after all. The congressional women's softball team is made up of both Democrats and Republicans. As teammates, the girls play together -- and against another team, comprised of Washington's female press corps. On the other hand: A corresponding group of congressional men play against themselves -- Democrats versus Republicans. To Bustos, this difference in their respective rosters speaks loudly to the way they conduct the nation's business. Women are more naturally team players; men tend to be more oppositional. When I pointed out that 40 percent of caregivers are, therefore, men -- and, wow! -- I was reminded that women also typically take off more time for childbirth and child care, so that the added caregiver role for older parents is yet another layer of non-compensatory time away from work. Time will tell whether women are as mutually supportive once reality sets in and they have to contend with their own caucuses. On one issue, meanwhile, we can be certain of bipartisan accord. There aren’t enough restrooms for so many women -- only four stalls outside the House chambers. Now there’s an issue on which all women can find common cause.